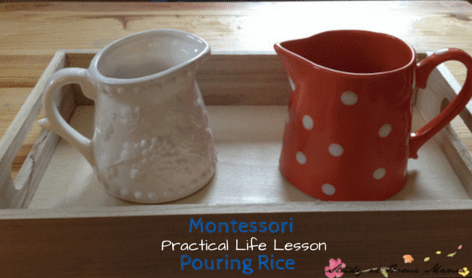 Today we’re continuing our practical life series with pouring rice. The child practices pouring dry goods like rice or lentils in preparation for pouring liquids. If you’ve followed our practical life series so far, you’ve probably noticed that the practical life activities are introduced in a gradual way, e.g., pouring rice before pouring water, pouring water before table scrubbing or cloth washing. 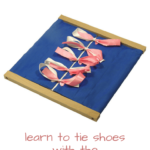 The child is given the chance to practice prerequisite skills, hopefully setting her up for success in the more challenging activities that follow. Let’s look at the presentation for pouring rice. Indirect Purpose: independence and concentration. 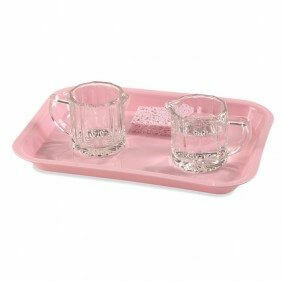 a child sized tray with a slight edge for grasping. 1. Invite the child to a lesson. 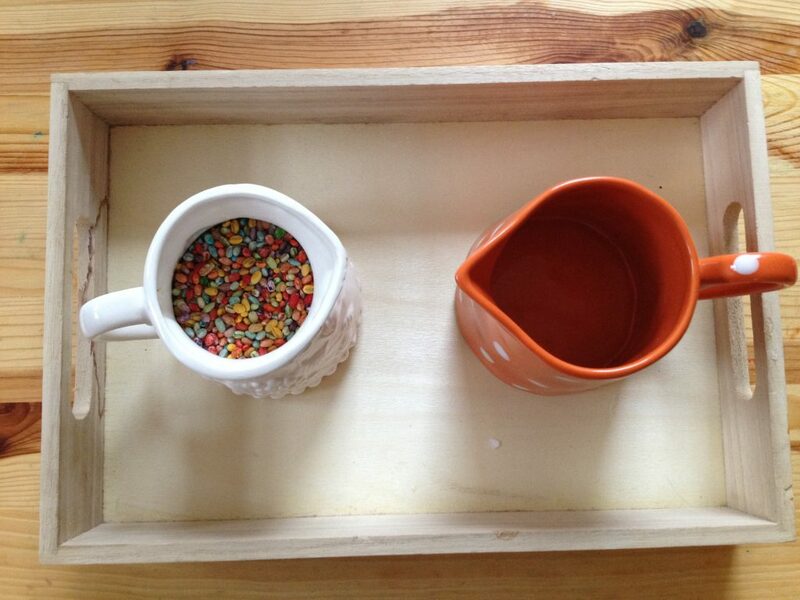 Demonstrate carefully carrying the tray to the table, keeping it level, and putting it down softly. Orient the tray so that the full pitcher is on the right. 3. Handles should face out directly to both sides. Grasp them with your thumb on top and one or two fingers through the handle. 4. Lift both pitchers simultaneously, raising the right one with the rice higher than the left. 5. Center the right pouring spout over the empty left pitcher. Pour until all grains are gone. Exaggerate looking into the pitcher to see that all grains are gone. 6. Gently set the pitchers down, placing the full one again on the right, and turning the handles out. Invite the child to try. Does the child center the spout? Does she avoid clinking the pitchers together? Note: If the child spills any grains, use this opportunity to show picking up the individual grains one at a time with a pincer grasp, using your forefinger and thumb. This step is great fine motor practice! 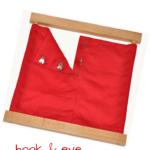 Also, I prefer to use a tray darker in color than the rice, so that the child can see the spilled grains. Any dry grains will do to pour between containers, such as lentils or bulgur wheat. The earliest practical life activities are offered to children as young as two and a half. This age works for the sake of process, simply enjoying the challenge of filling little containers. The slightly older child, say four years, will begin to notice the goal or reason for a practical life activity. 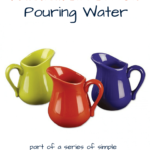 Whenever I noticed my older children using the pouring materials in a “slapdash” fashion, I increased the challenge of the pouring activities and/or encouraged a more obviously purposeful work, like preparing and serving food. Let observation be your guide in deciding what to present. 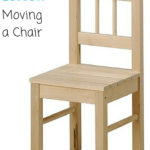 To learn more about Montessori theory, please visit Beth’s blog A Montessori Lexicon. You can also find her at Teachers Pay Teachers. 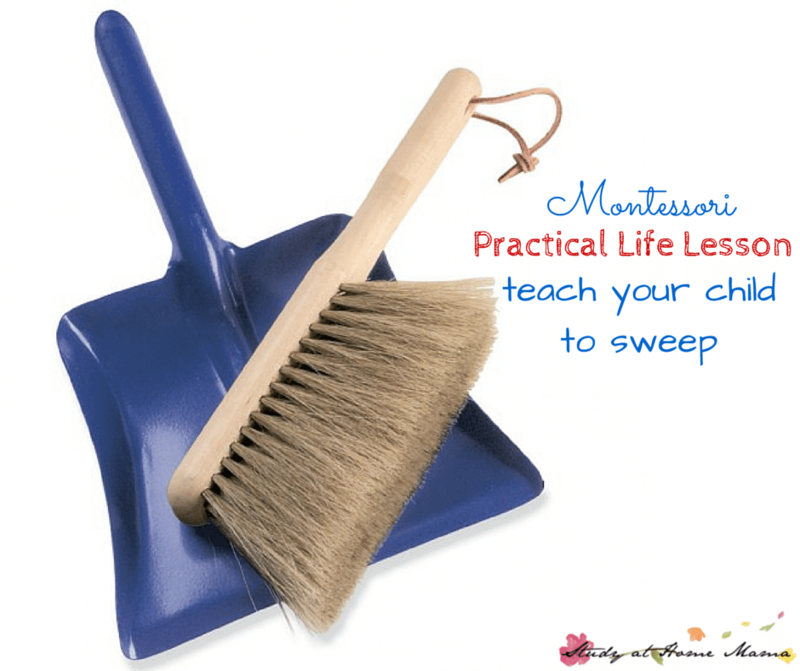 Did you enjoy this Montessori practical life lesson? Next up are pouring water and teaching your child to sweep. It’s so true – I love how intrinsically attractive the Montessori practical life works are within themselves. They are truly perfect. We started dry pouring at 18 months! Using the Ikea perler beads no less. I’m sometimes surprised by how much “neater” he was back then compared to now. But you know, this just goes to show how important it is to start young when they love doing this kind of work. Now, my 3-yo has been “promoted” to pouring his own milk or water from a pitcher into his glass at all meals. 🙂 Thanks for sharing! Ooh I want to see a video of that! 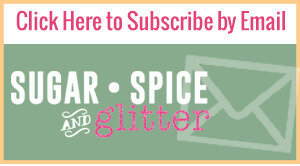 Oh, perler beads would be so pretty! 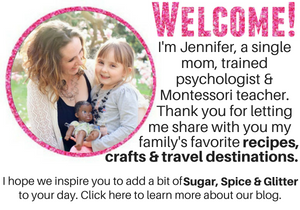 Thanks, Vanessa – I’m lucky to have Beth! Soon enough! Thanks for stopping by, Nadia!